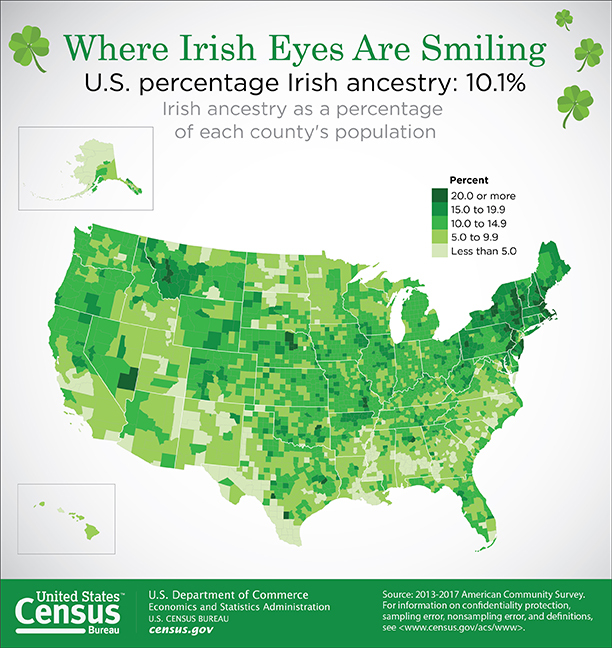 The number and percentage of U.S. residents who claimed Irish ancestry in 2017. The county with among the highest percentage of people who claimed Irish ancestry in 2017 was Plymouth County, Mass. The estimated number of U.S. residents who spoke Irish Gaelic.